Seed Testing Services - Professional Seed Research Inc. The purity test with the largest sample size. Grown in uniform environments, the Seedling Growout® genetic purity test has gained its popularity for being accurate, inexpensive and having a larger sample size than any other method. With a large sample size of 400 kernels and multigene character expressions, the test identifies selfs, outcrosses and offtypes more accurately than isozymes and field growouts. The Seedling Growout® test includes a warm germination test. Results are returned within 14 days. PSR’s Herbicide test allows for a 400 kernel sample to be treated with herbicide spray at the three leaf stage. The test is often used in conjunction with the Seedling Growout®, expanding the accuracy, by finding the source of the contamination. Results are returned within 14 days. PSR’s BT test meets Monsanto, Syngenta and Dow requirements by offering a 30 kernel and 90 kernel test. The test accurately detects the presence of BT protein using the ELISA lateral flow strip method. Unique only to PSR, the BT test may be integrated with the Seedling Growout® to find the source of the problem. Results are returned within 10 days. The Warm Germination test is used to evaluate corn and soybeans without temperature stress, but with consideration of emergence uniformity. Similar to a warm sand test, seedlings are grown in an artificial soil mix to the 3 leaf stage on a greenhouse bench with minimum of 70°F exposure. The emergence rating further describes the uniformity of emergence. PSR’s warm germination test is consistent with field emergence data. Results are returned within 14 days. The Cold Germination tests is used to evaluate corn and soybeans under cold temperature stress. Seedlings are grown in an artificial soil mix and placed in a cold room for 7 days of 50°F exposure. Results are returned within 16 days. The Extended Cold Germination tests is used to evaluate corn and soybeans under cold temperature stress. Seedlings are grown in an artificial soil mix and placed in a cold room for 14 days of 50°F exposure. Results are returned within 20 days. PSR’s Non-GMO test directly detects all traits within a 6000 kernel sample. This method is less costly and more accommodating to large sample sizes than DNA testing. PSR’s Non-GMO procedure is also less vulnerable to lab contamination than PCR methods. Planting 6000 kernels allows testing of all traits to the USDA statistical recommended level. Results are returned within 14 days. 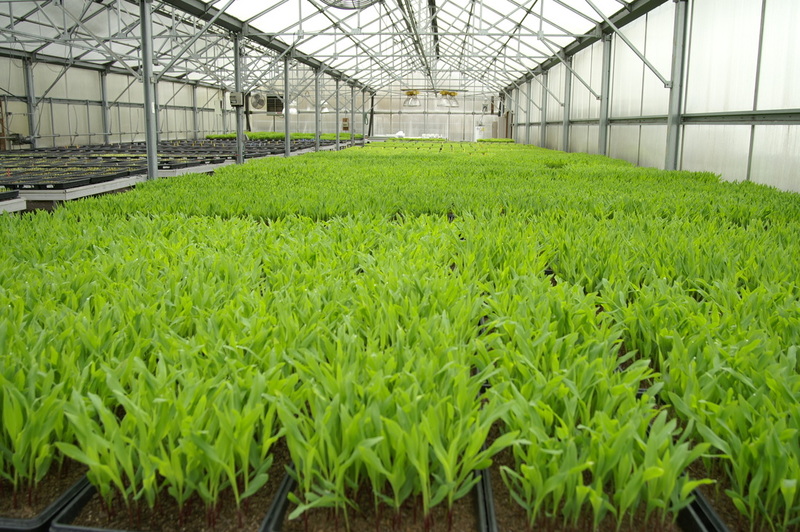 Another approach to GMO testing is to use the Seedling Growout® plants on a 400 kernel sample. In this case, the outcross plants are tagged and tested separately for individual or all GMO traits detecting the source of the GMO contamination. This method has become popular with testing seedstock lots. Results are returned within 14 days. This economical 400 kernel GMO test is designed to quickly screen for unintended herbicide traits of RR and LL in conventional hybrids. A Seedling Growout® test is included to further screen the sample for selfs and outcrosses. Results are returned within 14 days. PSR is an APHIS approved lab for testing seed for the absence of corn pathogens to meet Phytosanitary Certificate regulations. Contact PSR for details on seed quantity and requirements.